One Park in Cliffside Park, N.J. is inviting the public to kick off Halloween with a fun family-friendly activity during a special Open House on Saturday, October 28th, 2017. The spooktacular event will take place from 1-4 p.m. in the on-site Sales Gallery at the luxury 14-story condominium building located at 320 Adolphus Avenue. The Open House will feature a Pumpkin Decorating Contest for all in attendance. Pumpkins and decorating tools will be provided to guests and the most creative pumpkin will be awarded a Fuji Film Polaroid Camera as first place prize. All participants in the decorating contest will receive a surprise gift. Pumpkin themed desserts and beverages will be provided by local bakery, OM Sweethome. 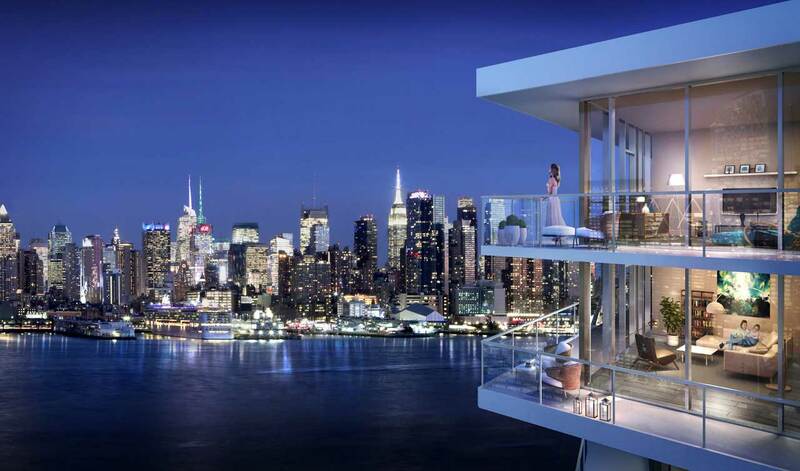 One Park is a collection of 204 one, two, three and four bedroom condominiums with magnificent views of the New York City skyline. Priced from $495,000, the interiors were designed by boutique design firm, VLDG Inc., and feature spacious kitchens with chef-caliber appliances, the finest fixtures, and high end natural materials. Bedroom suites are calm sanctuaries for rest and relaxation, with floor-to-ceiling windows flooding the space with light. Spa-inspired bathrooms are adorned with a freestanding sculpted tub, large open shower, porcelain flooring and richly-toned wall tiles. Designed by noted architectural firm Architectura, One Park’s architectural design boasts a glass curtain wall and private outdoor space for every home. The dramatic elegance and sophistication of One Park are further enhanced by its more than 25,000 square feet of indoor and outdoor amenities. These will include a 24-hour Attended Front Desk, Aquatic Center with an indoor 55-foot heated Pool, adjoining Sauna and Steam Room and Outdoor Sun Deck, private furnished Roof Deck including a Dining Terrace with grilling stations, fire pits, intimate seating areas and outdoor movie theater, state-of-the-art Fitness Center, Pilates Room, Squash Court, Golf Simulator, Children’s Playroom, Pet Spa, Guest Suites, and a secure parking garage with a fully-automated Unitronics system. One Park’s Cliffside Park location has long attracted those commuting to New York City for business and pleasure who appreciate its proximity to the George Washington Bridge, Lincoln Tunnel and New York Waterway ferry service to Manhattan. The one square-mile borough also enjoys a diverse dining and shopping scene. The main thoroughfare, Anderson Avenue, or “The Avenue” as it is affectionately referred to, is lined with boutique stores and shops, while an eclectic offering of dining, shopping, and waterfront recreational and nightlife pursuits are just minutes away in Edgewater, Weehawken, North Bergen and Hoboken. Headquartered in New York City at 100 Wall Street, DMG Investments LLC (“DMG”) was established in 2013 as the US subsidiary of DoThink Holding Group, a well-known real estate developer in China. DMG focuses on real estate acquisitions, development and management as well as financing. Leveraging the expertise of a team of dedicated real-estate professionals with decades of experience creating and adding value for investors, DMG has amassed a portfolio of best-in-class assets across the US in dynamic markets in New York, New Jersey, Texas, Tennessee and Wisconsin. As the portfolio continues to grow, DMG is dedicated to creating a trusted brand with a focus on providing amenities and services that enhance the livability of each project be it in the student housing, traditional multifamily or condominium sector. In the years to come, the goal of DMG is to become a global real estate enterprise with a world-class reputation for sustainable development and a business philosophy that emphasizes the importance of delivering value for investors, owners and residents. More information about DMG can be found at www.dmg-investments.com.